Q: I love cast-iron pans but the coating on the bottom of my favorite skillet is pitted and blistering up. What can I do to save this without re-seasoning the entire pan all over again? I’ve had it for twelve years! A: Depending on how you clean and cook with the pan, residual carbon will build up over time. This is inevitable, but there are a few tricks you can use to minimize the issues you’ve described. First, always scrub the pan religiously after use with nothing more harsh than very hot water and a plastic or bamboo bristle brush. The coating will not hold up if cleaned with soap. Secondly, extremely high temperatures may pop areas of the black carbon off. This happened recently to my favorite Lodge 12″ skillet after I made fajitas. When I first got the pan in 1996, I was over-zealous in how much cooking oil I applied to season it. Well, I’m paying for that mistake now. Several areas of the pan show blistering and there are two dime-sized spots where the carbon lifted completely off. Fortunately, cast-iron is also a lot more forgiving concerning maintenance. I simply took a small square of 600-grit wet/dry sandpaper to the spot and smoothed out the rough edge. The carbon was sanded down to bare metal in one spot where the divot was, but after re-seasoning just that area, it’s fine, and the area around it is smooth as glass. Try doing that with any other type of cookware! Ensure that bare metal is properly seasoned and you should be fine. Click here for more tips. Q: I recently got into gardening and tried growing tomato plants. They started out great but after a while the vines and leaves got black spots and withered. Eventually it overtook most of the plant. What did I do wrong? A: You are watering the plants from the top. 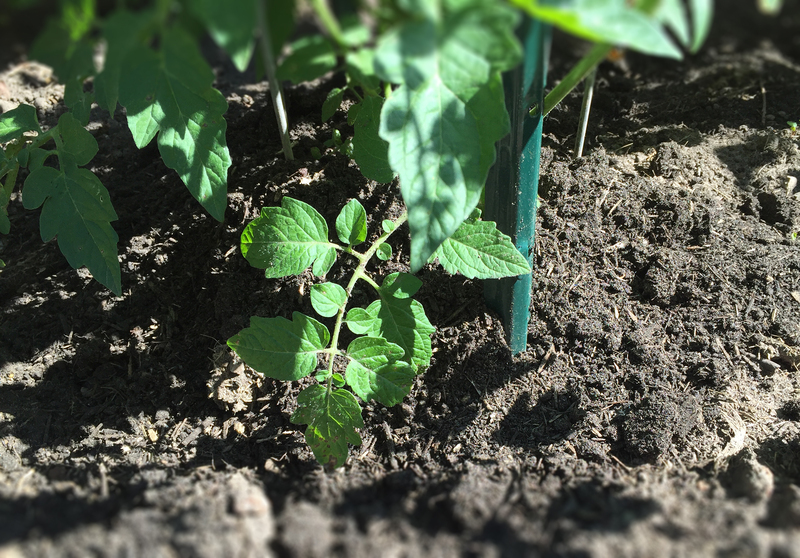 Be sure to water them using a drip irrigation system at the base of the plant. Water splashing on the leaves and stems can form Septoria leaf spot which will eventually kill the plant if left unchecked. Other best-practices include testing your soil to make sure the pH is balanced and mounding compost up around the base of the plants. This will aid in strong growth and a productive harvest. Q: When selecting chili powder, what does “Molido” mean? Is it mild or hot? A: Molido is Spanish for “ground” or “crushed.” It has nothing to do with how spicy the product is. The package will usually state if it is mild or hot. Ask your grocer if they can offer more information if you are unsure. Q: Where can I buy the pure chili powder you talk about on your website? I can’t find it anywhere. A: Chili powders like New Mexican Chimayo are all but impossible to find in your local supermarket. You can try several of the online catalogs I’ve featured in the Useful Links section. You will pay a shipping charge, but if you buy in bulk it is worth it. 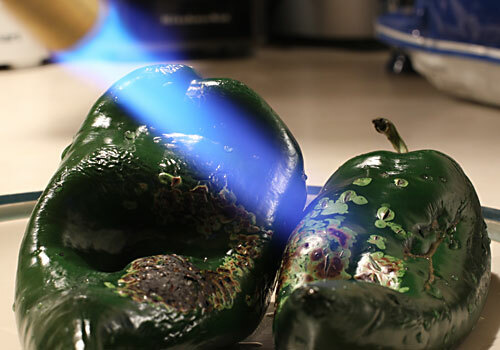 Q: Is it true that you can actually hurt yourself by eating habanero peppers? Q: What is your favorite cooking utensil? A: It’s a toss-up between a good, sharp chef’s knife and my trusty cast-iron dutch oven. Q: What is the inspiration for your selection of recipes? A: Hey, if I try it and it tastes great through testing and refinement, I’ll post it on the site. It’s that simple. Many of my recipes are southwest or Mexican inspired, or family classics. I love the regional cuisine.